Being solicited in comics stores now for shipping in January: Lewis Trondheim’s next Little Nothings! And if you’ve been following this blog, you know we’ve started putting these webcomics on this very blog since early this week. From today on, make sure to come over every Thursday and Monday to catch the latest one! You can you see them all together here. And of course, don’t miss the first two volumes already out which have charmed many. Hey, they were a sell-out when Lewis signed at our booth in San Diego. Alexander Dumas’s The Count of Monte Cristo is an adventure story at heart, making Steven Grant and Dan Spiegle excellent choices to adapt this action-packed tale, which translates wonderfully to comics form. Edmond Dantes, a fugitive wrongfully accused of a crime and betrayed by a rival, escapes from prison to embark on a search for treasure. Eventually, Dantes returns to France after creating the new identity of the Count of Monte Cristo in order to exact vengeance on his betrayer. A whirlwind adventure for any young child who follows this epic tale, Grant and Spiegle capture the excitement of this classic story that has remained a best-seller for over a hundred years. 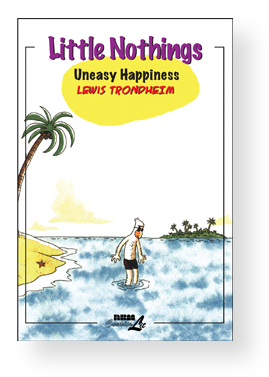 Welcome to our latest addition to our author/editor blog: Lewis Trondheim as his pages get posted here from the upcoming comics blog collection LITTLE NOTHINGS: Uneasy Happiness, due out in January and being solicited now in comics shops. 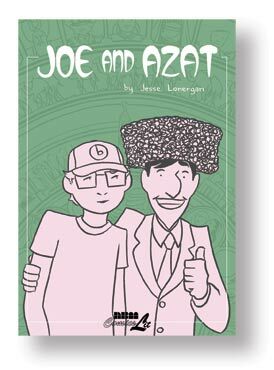 Lewis needs little introduction at this point, this comics blog series has charmed many for its authenticity and great sense of observation. He is also the co-creator on DUNGEON and we’ve published quite a few more books of his including Li’l Santa, btw, a charming series for Xmas . 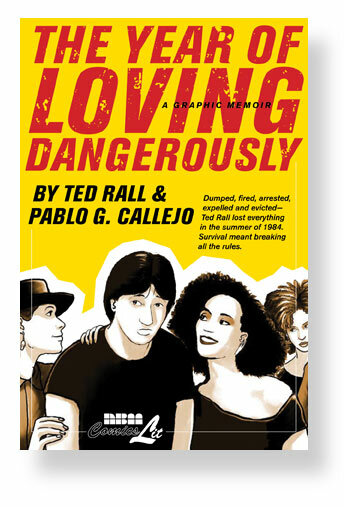 So every Monday and Thursday, make sure to drop by for his latest comics blog: Little Nothings. Of course you can RSS this as well. Author Terry NantierPosted on November 2, 2009 Categories Blog, New ReleasesTags Lewis Trondheim, Little NothingsLeave a comment on Welcome, Lewis.